The U.S. Food and Drug Administration (FDA) recently approved a new cardiovascular disease drug shown to reduce the number of patients needing hospitalization for and dying of heart failure, The New York Times reports. The drug is called Entresto (known during development as LCZ696). Novartis makes the pill, which combines two drugs, valsartan and sacubatril. Patients must take the drug twice each day. Anticipation for the drug has been mounting since early 2014, when results of a large clinical trial found patients who took the drug enjoyed a massive decrease in the risk of death as well as heart-related hospitalizations when compared to patients taking older heart failure meds, such as angiotensin-converting enzyme (ACE) inhibitors and similar angiotensin II receptor blockers. 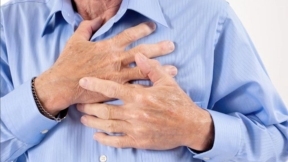 When heart failure occurs, the organ cannot pump blood efficiently through the body. 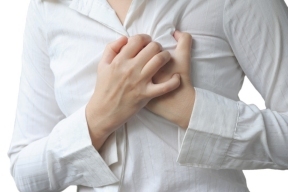 This condition often results from a heart attack or high blood pressure; it can cause fatigue, shortness of breath, retention of fluids, and is also one of the top causes of hospitalization for cardiovascular disease patients. Today, more than 5 million Americans and up to 26 million people worldwide experience heart failure. The FDA has approved Entresto for patients who suffer from reduced ejection fraction, a condition that happens when the heart doesn’t pump enough blood to the rest of the body. The drug will cost around $12.50 a day, or $4,500 a year. In addition, African Americans are at increased risk of suffering from the main side effects of the drug. These side effects include low blood pressure, high blood potassium levels and kidney impairment, and angioedema, an allergic reaction that causes swelling of the lips or face. Novartis predicts that Entresto could eventually garner $5 billion in annual sales worldwide, making it one of the world’s best-selling drugs.